Beautiful townhome in pool neighbohorhood rented for $1250/ month. Investors preferred. Low HOA dues. Very short walk to the community pool. One mile to 40/440. Open living areas on the main floor. 2 nice sized bedrooms and laundry on the second floor. Huge master retreat with sitting area, walk in closet, separate tub and shower and vaulted ceilings in the top floor. 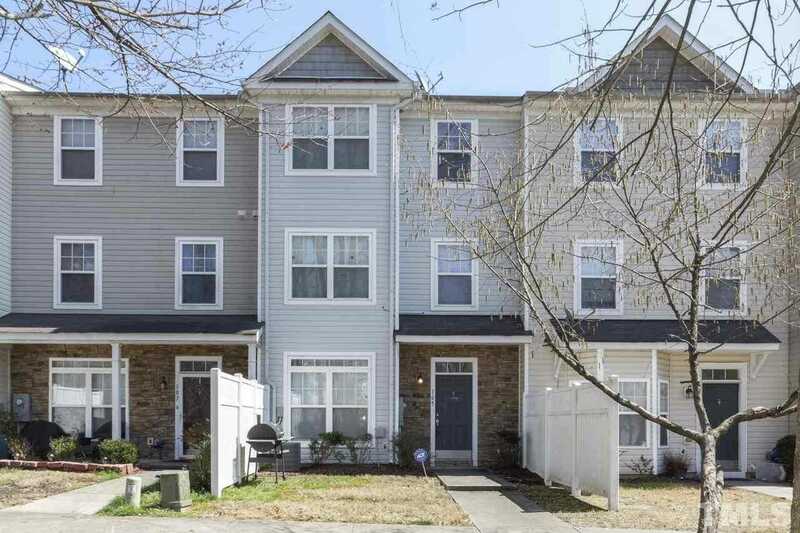 Please, send me more information on this property: MLS# 2244806 – $150,000 – 1210 Canyon Rock Court, Raleigh, NC 27610.